There were two end-credits sequences, the first picking up directly where the movie left off. Hank Pym brings Hope down to a secret area of the house, where Janet’s next costume-to-be was revealed. 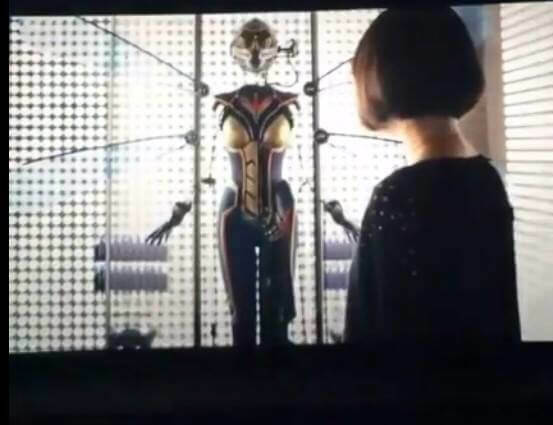 This of course sets up Hope to officially become the Wasp in a future Marvel film. The next end credits sequence is at the very end of the credits, and was a little more cryptic. 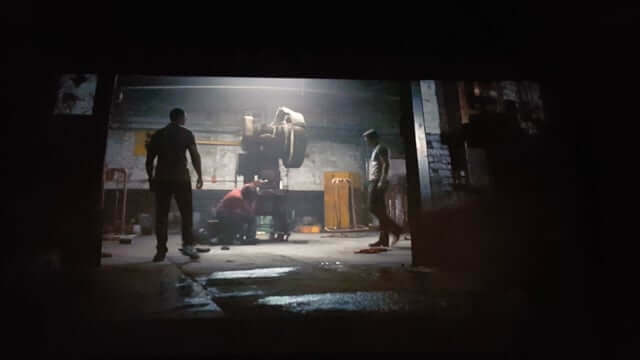 It shows Cap and Falcon with Bucky Barnes – now known as the Winter Soldier – as they try and free(?) Bucky from some sort of contraption. Falcon tells Captain America that he “Knows a guy” that could help. This sets up the next movie in the Marvel Universe, 2016’s Captain America: Civil War. As recently released artwork has shown us, Winter Soldier is part of Cap’s team and this scene will most likely either appear in Civil War or at least be mentioned in Civil War. It is assumed that this scene also ties into the end of Ant-Man, as the “guy” that Falcon “knows” is Ant-Man.